Tuesday Tasting is a regular feature of Lyke2Drink that explores some of the best beers, wines and spirits on the market. This week we sample a sparkling rose from the Champagne region. Champagne Lanson is a 252-year-old house that is relatively unknown in U.S. markets. Based in Reims, the brand has long been one of the top sellers in the United Kingdom. In addition to the Rose, Lanson Black Label Brut, Ivory Label Demi Sec and Gold Label Brut 2002 are being imported in the U.S.
Lanson Brut Rose is a pale pink color that has a flowery aroma. The flavor of this non-vintage Champagne has a fresh berry edge with an attractive level of acidity. 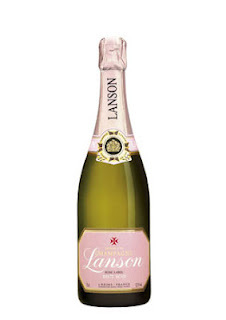 Lanson uses 32 percent Chardonnay, 53 percent Pinot Noir and 15 percent Pinot Meunier. It is aged for three years. The makers credit non-malolactic fermentation with producing a fruit driven sparkling wine. This wine retails for $60 a bottle. Tuesday Tasting is a regular feature of Lyke2Drink that explores some of the best beers, wines and spirits on the market. This week we sample a white IPA from Bend, Ore.
Deschutes Brewery was founded in 1988 and has built a reputation for making some of the best assertive beers around. Hop Henge, The Abyss and The Diisident leap to mind. So a beer like Chainbreaker White IPA, with its subtle touches and bright flavors is refreshing twist. 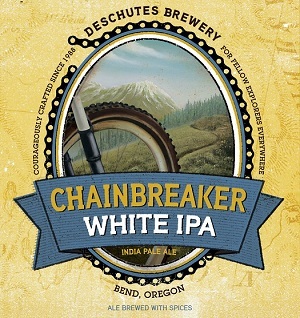 Deschutes Chainbreaker White IPA pours a cloudy light yellow color, with a whispy head of white foam. There is plenty of citrus aroma in this beer. The flavor shows the wheat, with spice and citrus running through the drink. Light, yet memorable. Made with wheat and pilsner malt, Cascade and Citra hops, orange peel and coriander, Chainbreaker is 5.6 percent alcohol by volume and 55 IBU.